The full VR simulator kit includes a portable operator station, joystick, dongle, lead motion detector sensor and VR goggles. More than 50 percent of reported underground utility damages are the result of insufficient excavation practices according to the 2017 DIRT Report. 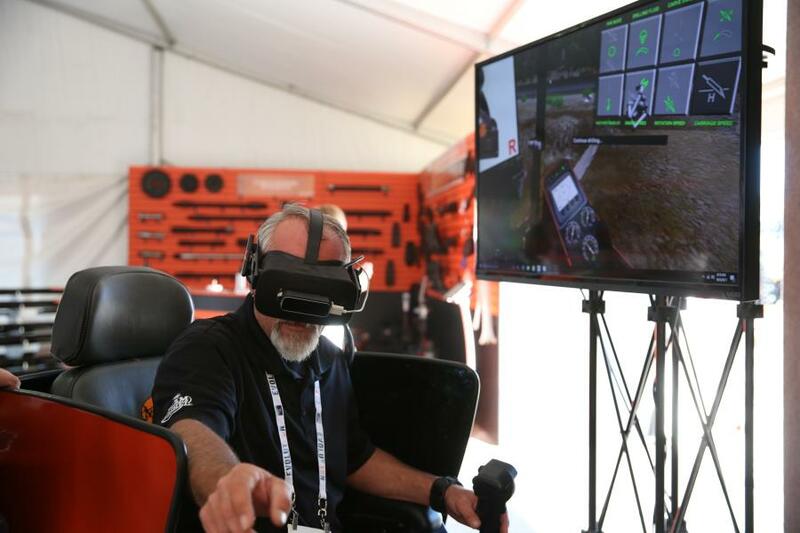 The Ditch Witch organization, a Charles Machine Works Company, has introduced a virtual reality (VR) simulator to better prepare horizontal directional drill (HDD) operators for safe underground construction through cutting-edge training technology. As the industry's first simulator utilizing VR technology, it provides both novice and experienced HDD operators with a 360-degree view of a realistic job site — simulating a variety of soil conditions and installation applications so operators can learn how the drill reacts. Through a series of lessons that increase in difficulty, operators are evaluated and educated on machine functions, product location, damage prevention, extended bend radius and steering. The program emphasizes damage prevention by requiring operators to preplan, set up equipment correctly and test protective systems. The full VR simulator kit includes a portable operator station, joystick, dongle, lead motion detector sensor and VR goggles. To truly simulate a real jobsite experience, the equipment is configured to replicate what operators see and feel, leveraging the same joysticks found on Ditch Witch HDD equipment. HDD contractors and education centers looking to incorporate the latest HDD training technology into their program can purchase the simulator at their local Ditch Witch dealership. For more information, visit https://www.ditchwitch.com/training.